​Suicide, like all human behavior, results from a confluence of different and sometimes conflicting purposes. So many are hurting for one reason or another. Social media is very popular but seems to help embolden more and more, to take their own life. Death caused by self-directed injurious behavior with an intent to die as a result of the behavior. A non-fatal, self-directed, potentially injurious behavior with an intent to die as a result of the behavior; might not result in injury. Thinking about, considering, or planning suicide. A combination of individual, relationship, community, and societal factors contribute to the risk of suicide. Risk factors are those characteristics associated with suicide—they might not be direct causes. This is without question the most common reason people commit suicide. Severe depression is always accompanied by a pervasive sense of suffering as well as the belief that escape from it is hopeless. The pain of existence often becomes too much for severely depressed people to bear. The state of depression warps their thinking, allowing ideas like “Everyone would all be better off without me” to make rational sense. They shouldn’t be blamed for falling prey to such distorted thoughts any more than a heart patient should be blamed for experiencing chest pain: it’s simply the nature of their disease. Malevolent inner voices often command self-destruction for unintelligible reasons. Psychosis is much harder to mask than depression — and arguably even more tragic. The worldwide incidence of schizophrenia is 1% and often strikes otherwise healthy, high-performing individuals, whose lives, though manageable with medication, never fulfill their original promise. Often related to drugs and alcohol, some people become maudlin and impulsively attempt to end their own lives. Once sobered and calmed, these people usually feel emphatically ashamed. The remorse is usually genuine, and whether or not they’ll ever attempt suicide again is unpredictable. They may try it again the very next time they become drunk or high, or never again in their lifetime. Hospital admission is, therefore, not usually indicated. Substance abuse and the underlying reasons for it are generally a greater concern in these people and should be addressed as aggressively as possible. ​4. They’re crying out for help and don’t know how else to get it. These people don’t usually want to die but do want to alert those around them that something is seriously wrong. They often don’t believe they will die, frequently choosing methods they don’t think can kill them in order to strike out at someone who’s hurt them—but are sometimes tragically misinformed. The prototypical example of this is a young teenage girl suffering genuine angst because of a relationship, either with a friend, boyfriend, or parent who swallows a bottle of Tylenol—not realizing that in high enough doses Tylenol causes irreversible liver damage. 5. They have a philosophical desire to die. The decision to commit suicide for some is based on a reasoned decision often motivated by the presence of a painful terminal illness from which little to no hope of reprieve exists. These people aren’t depressed, psychotic, maudlin, or crying out for help. They’re trying to take control of their destiny and alleviate their own suffering, which usually can only be done in death. They often look at their choice to commit suicide as a way to shorten a dying that will happen regardless. In my personal view, if such people are evaluated by a qualified professional who can reliably exclude the other possibilities for why suicide is desired, these people should be allowed to die at their own hands. ​6. They’ve made a mistake. This is a recent, tragic phenomenon in which typically young people flirt with oxygen deprivation for the high it brings and simply go too far. Or a grown man shoots himself while trying to clean a gun. The only defense against this, it seems to me, is education. 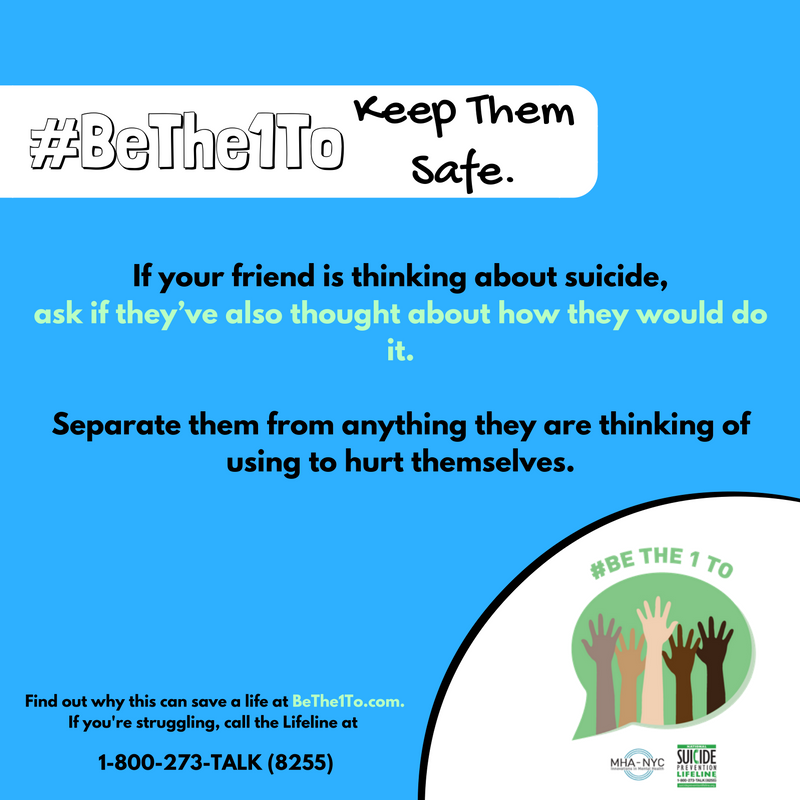 Be the one to save a life. 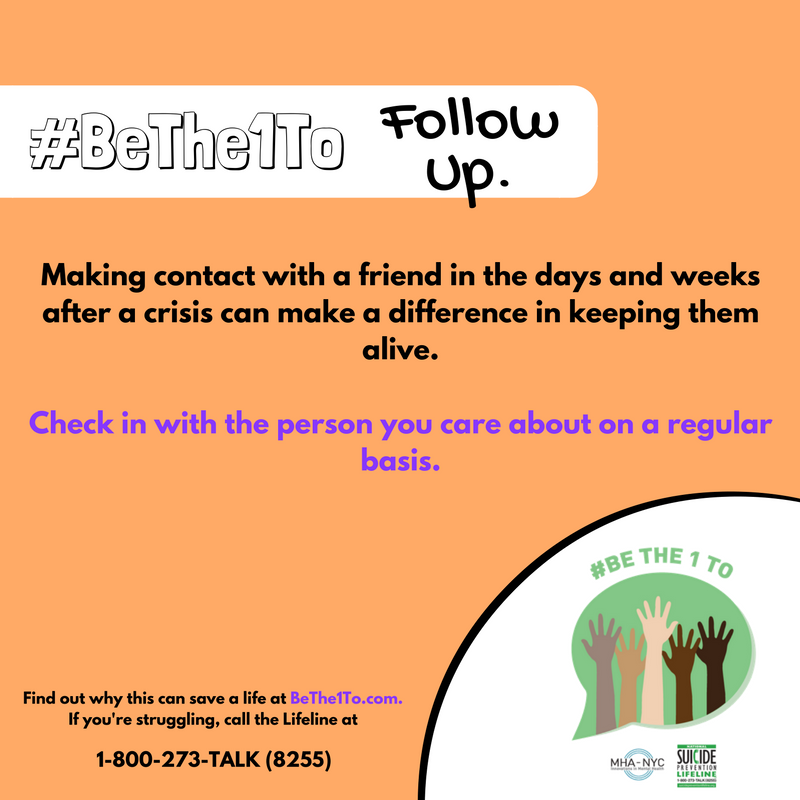 Use the #BeThe1To 5 action steps to help someone in your life that might be in crisis, or share the steps with others. These steps have been proven to help others find hope and support. 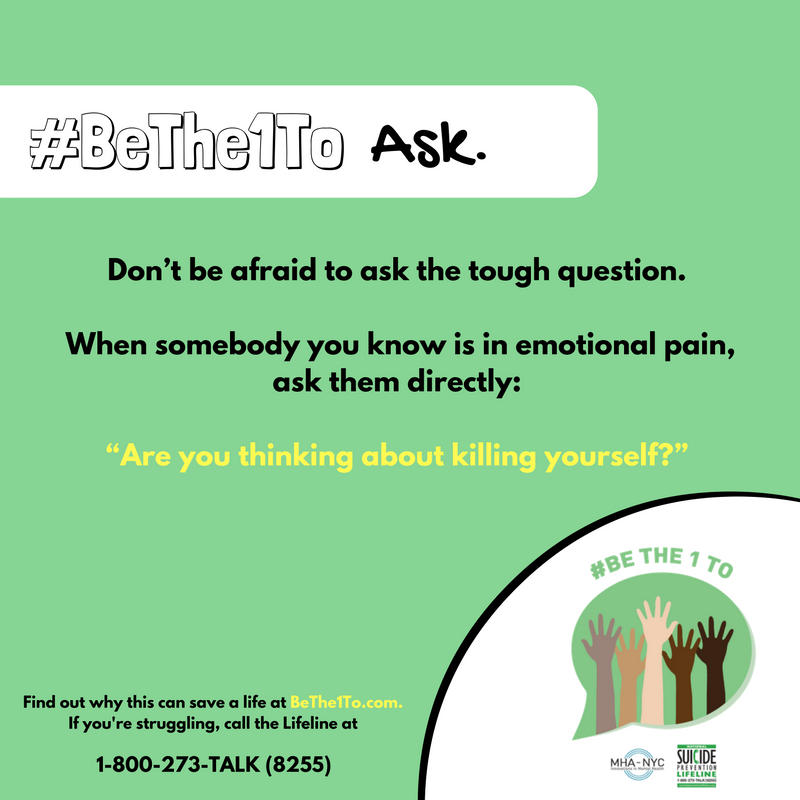 Research shows people who are having thoughts of suicide feel relief when someone asks after them in a caring way. Findings suggest acknowledging and talking about suicide may reduce suicidal ideation. ​A number of studies have indicated that when lethal means are made less available or less deadly, suicide rates by that method decline, and frequently suicide rates overall decline. Individuals are more likely to feel less depressed, less suicidal, less overwhelmed, and more hopeful by after speaking to someone who listens without judgment. 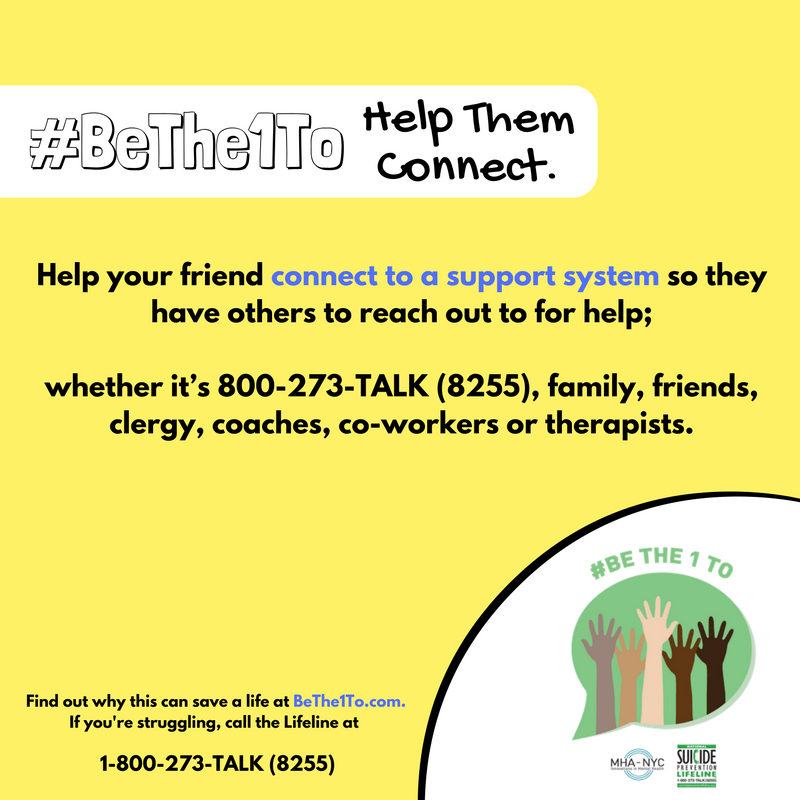 ​Studies indicate that helping someone at risk create a network of resources and individuals for support and safety can help them take positive action and reduce feelings of hopelessness. Studies have also shown that brief, low cost intervention and supportive, ongoing contact may be an important part of suicide prevention, especially for individuals after they have been discharged from hospitals or care services. We Believe. Hope Can Happen. We Can All Take Action. 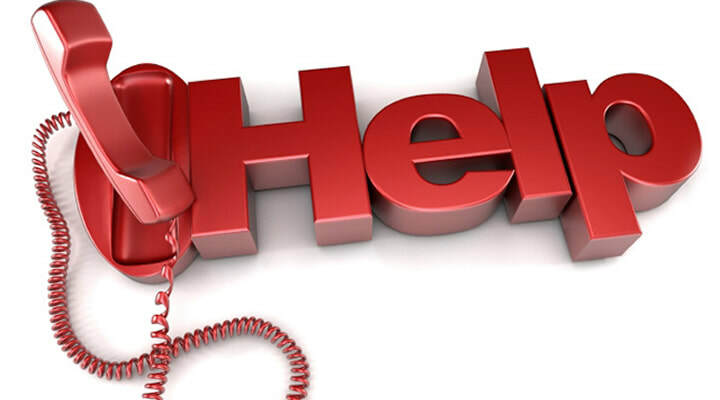 the Lifeline network is available 24/7 across the United States. 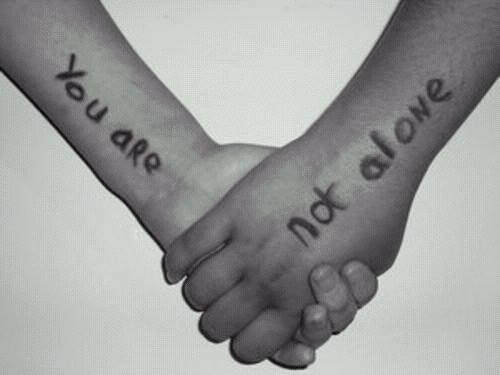 The Lifeline is available for everyone, is free, and confidential. A wise professor once said to his class regarding suicide: There is never a wrong time, or a wrong way, to talk to someone about whether they’re thinking of killing themselves. If you suspect it, address it. There are several natural therapies that can help quiet your mind and calm your anti-anxiety. Let's discuss some useful applications and essential oil combinations. Topical – another effective strategy is to simply apply these key oils over certain parts of the body – particularly the trigger points – like the bottoms of the feet, on the wrists, behind the knees, behind the ears on the mastoid bone or on the back of the neck. If working with tablespoons is more comfortable for you, 1 oz. = 2 tablespoons. So, there are 300 drops of EO in a tablespoon. Mist into the air and take in a deep breath during panic attacks, stressful moments or when anxiety settles in. ​Are you sure you're using essential oils safely and effectively? Are you confused by dilutions and conversions? ​Take out the guesswork and download FREE roller bottle guide HERE. DeLeo D, Bertolote J, Lester, D. Self-directed violence. 2002. Chapter 7. In: Krug EG., Dahlberg LL., Mercy JA, Zwi A, Lozano R, eds. World report on violence and health[PDF 239 KB]. Geneva: World Health Organization. Goldsmith SK, Pellmar TC, Kleinman AM, Bunney WE, eds. 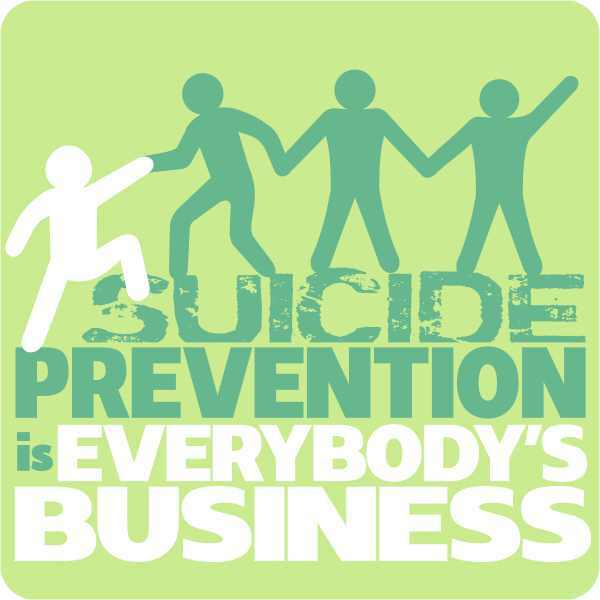 Reducing suicide: a national imperative. Washington DC: National Academy Press; 2002. McLean, J, Maxwell, M, Platt, S, Harris, F, and Jepson, R. Risk and Protective Factors for Suicide and Suicidal Behaviour: a Literature Review. Scottish Government Social Research. Edinborough. 2008. U.S. Department of Health and Human Services (HHS) Office of the Surgeon General and National Action Alliance for Suicide Prevention. National Strategy for Suicide Prevention: Goals and Objectives for Action. Washington DC: HHS; 2012. U.S. Public Health Service. The surgeon general’s call to action to prevent suicide. Washington DC: US Department of Health and Human Services; 1999. World Health Organization. Preventing suicide: A global imperative. Geneva, Switzerland: WHO; 2014.